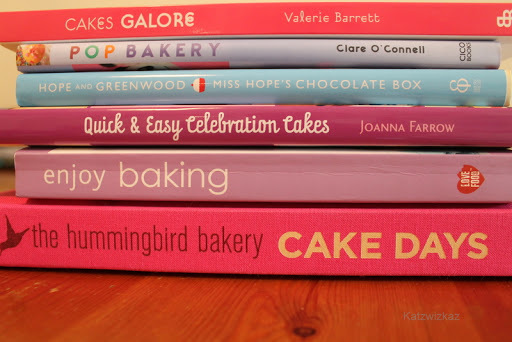 Most days, my kitchen table is taken up with baking books in my search for a cake for a celebration which I will be hosting early next year. I can usually refer to the many, many baking books in my possession for inspiration, but today this was not the case. My daughter wanted Rainbow Cupcakes to take to a themed birthday party, and had found a recipe from an interesting site called Cut Out and Keep. 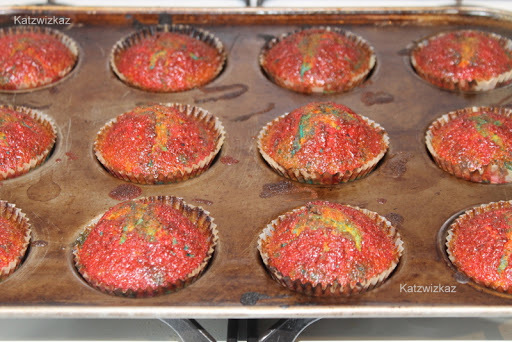 There are other recipes for cupcakes in my blog, but it’s the ‘Rainbow’ effect in these which sets them apart. Pre-heat the oven to 200C/400F/Gas Mark 6, and line a 12-hole cake tray with paper cases. Using the creaming method, beat together the sugar and the softened butter, until totally combined. 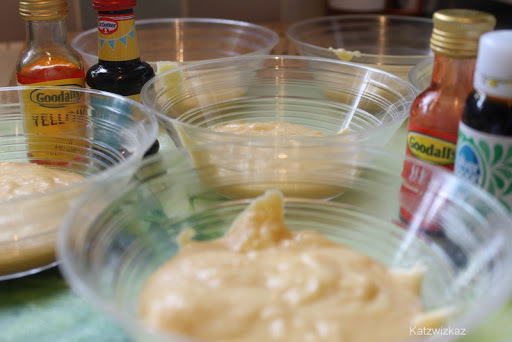 Add the eggs, one at a time, and mix in well, adding a little flour between each egg, until there is no more flour left. Next, add the Vanilla Extract and beat in to the mixture. The milk needs to be added one teaspoon at a time, mixing thoroughly between each one. Now the next part of the recipe is a bit time-consuming. Lay out 6 bowls. Divide the cake batter equally into each one. 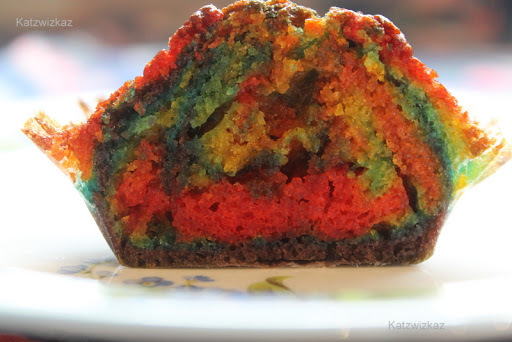 The colour sequence is supposed to give the colours of the rainbow in the correct order, but due to the chemical element to baking, some colours may sink into others during the baking process. My advice about adding the colours is this. Start with the following, and build up the colour you like as you go along. Bake for about 20 minutes, and, skewer test as usual, to check they are cooked through. Leave to cool in the tray for about 5 minutes, before placing them on a wire rack. Here’s how mine look on the inside. Interesting, to say the least. Enjoy! Hmmmm – interesting indeed! 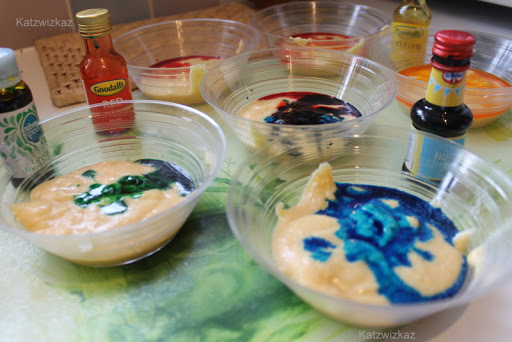 I was just myself looking at the Martha Stewart rainbow cake – I was going to make it for my little girls birthday – but maybe 7 layers is a bit much for a 3 yr old? And I wonder haow much coloured sponge would people eat? How did those cupcakes go down? Thanks for your comment, Amee. 7 layers would be too much, I think. 3 would be better for a child's birthday cake. 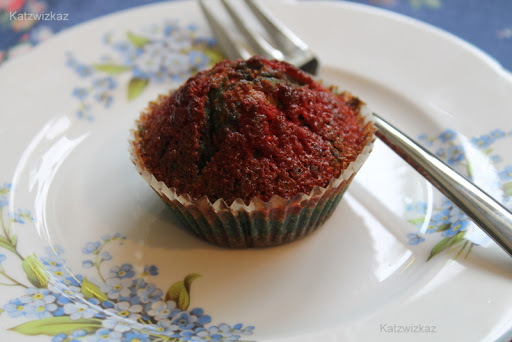 They tasted lovely, but it is essentially a coloured sponge.